This is a scalable context timeline. 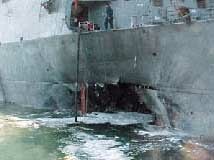 It contains events related to the event November 25, 2000: Two 9/11 Hijackers Fly to Iran. You can narrow or broaden the context of this timeline by adjusting the zoom level. The lower the scale, the more relevant the items on average will be, while the higher the scale, the less relevant the items, on average, will be. Majed Moqed. [Source: US District Court for the Eastern District of Virginia, Alexandria Division]In 2007, the London Times will report that imprisoned al-Qaeda leader Luai Sakra claims that he trained six of the 9/11 hijackers in Turkey. Sakra allegedly had links to the CIA and Syrian intelligence before 9/11 (see 2000 and September 10, 2001) and also allegedly was in contact with 9/11 hijacker Mohamed Atta before 9/11 (see September 2000-July 24, 2001). According to Sakra’s account, Sakra established a training and support network for radical militants in Turkey in the mid-1990s. In the Yalova mountain resort area between the cities of Bursa and Istanbul, he trained many militants heading to fight in Chechnya and elsewhere. Sakra worked with al-Qaeda leader Abu Zubaida to provide forged documents enabling trainees to travel to Afghanistan and elsewhere after their training was over. According to Sakra’s lawyer, in late 1999, 9/11 hijackers Ahmed Alghamdi, Hamza Alghamdi, Saeed Alghamdi, and Nawaf Alhazmi undertook Sakra’s training program. They had been planning to go to fight in Chechnya, but Sakra recommended them to Zubaida and they went to Zubaida’s training camp in Afghanistan instead. Hijackers Majed Moqed and Satam Al Suqami also later trained with Sakra in Turkey. Sakra alleges Moqed and Al Suqami were hand-picked by al-Qaeda leaders for the 9/11 plot. Sakra claims that at one point the entire group were arrested by police in Yalova, Turkey, after their presence raised suspicions. They were interrogated for a day but released because no evidence of wrongdoing could be shown. [London Times, 11/25/2007] In early 2006, Sakra made the claim that he had helped some of the 9/11 hijackers near Bursa, but he did not give specifics. [Washington Post, 2/20/2006] While Sakra’s account cannot be corroborated, it does fit with details given in the 9/11 Commission’s final report. According to that report, after 9/11, captured al-Qaeda leader Khallad bin Attash claimed that a number of militants trying to go to Chechnya in 1999 were unable to get there and stayed at al-Qaeda guesthouses in Turkey instead, where they were to wait to make another attempt to enter Chechnya in the summer of 2000, but they ended up going to Afghanistan instead. Bin Attash mentions nine hijackers who may have been trying to get to Chechnya in this fashion, including all the ones mentioned by Sakra. [9/11 Commission, 7/24/2004, pp. 233] The 9/11 Commission report also mentions that most of the “muscle” hijackers trained at the Al Farooq camp, except for Al Suqami and Moqed, who trained at the Khaldan camp. [9/11 Commission, 7/24/2004, pp. 234] Also, in early 2008, an FBI document will be released that shows Al Suqami spent almost six months in Turkey, helping to corroborate Sakra’s claims (see Late 1999-2000). Ahmed Alnami. 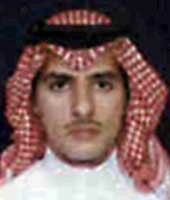 [Source: US District Court for the Eastern District of Virginia, Alexandria Division]9/11 hijacker Ahmed Alnami receives a new passport in Saudi Arabia. [Federal Bureau of Investigation, 10/2001, pp. 43 ] According to the 9/11 Commission, the passport may contain an “indicator of extremism” that is “associated with al-Qaeda.” However, although it is certain some of the other hijackers have such indicators in their passports, it is not certain that Alnami does. The commission will merely say that there “is reason to believe” his passport may contain such indicator and note that it was “issued in the same Saudi passport office” that issued passports with the indicator to some of the other hijackers. In addition, Alnami obtains two passports before 9/11 (see also April 21, 2001), and it is not clear whether the commission thinks both of the passports have the indicator, or just one of them. [9/11 Commission, 7/24/2004, pp. 564; 9/11 Commission, 8/21/2004, pp. 9, 33 ] According to author James Bamford, the indicator is a “secret coded indicator, placed there by the Saudi government, warning of a possible terrorist affiliation.” [Bamford, 2008, pp. 58-59] The Saudi government reportedly uses this indicator to track some of the Saudi hijackers before 9/11 “with precision” (see November 2, 2007). Al-Qaeda operative Luai Sakra apparently begins working as an informant for the CIA, Syrian intelligence, and Turkish intelligence. Sakra, a young Syrian whose parents were Turkish, attended the Khaldan training camp in Afghanistan in 1997. He developed a bond with Abu Zubaida, the al-Qaeda leader who was logistics manager for the camp. Zubaida will later be captured and interrogated by the CIA and will reportedly confirm a link with Sakra. Zubaida tasked Sakra with building up an al-Qaeda network in Turkey. In 1999, the Syrian government began hunting him for his role in a revolt in a Lebanon refugee camp. [Der Spiegel (Hamburg), 8/24/2005] The Turkish newspaper Zaman will report shortly after his capture in 2005, “Sakra has been sought by the secret services since 2000.” The CIA interrogated him twice in 2000. “Following the interrogation, the CIA offered him employment. He also received a large sum of money by the CIA. However the CIA eventually lost contact with him. Following this development, in 2000 the CIA passed intelligence about Sakra through a classified notice to Turkey, calling for the Turkish (intelligence) to capture him. [They] caught Sakra in Turkey and interrogated him.” [Zaman, 8/14/2005] Sakra was then apparently let go again. He will then move Germany and assist some of the 9/11 hijackers (see September 2000-July 24, 2001), then reveal details about the 9/11 attacks to Syrian intelligence the day before 9/11 (see September 10, 2001). He also will later claim to have trained some 9/11 hijackers in Turkey starting in late 1999 (see Late 1999-2000). In 2007, former CIA Director George Tenet will write in his book “At the Center of the Storm” that “a source we were jointly running with a Middle Eastern country went to see his foreign handler and basically told him something big was about to go down.” [Tenet, 2007, pp. 160] This is very likely a reference to Sakra, since no one else comes close to matching the description of telling a Middle Eastern government about the 9/11 attacks one day in advance, not to mention working as an informant for the CIA at the same time. Tenet’s revelation strongly supports the notion that Sakra in fact accepted the CIA’s offers in 2000 and had been working with the CIA and other intelligence agencies at least through 9/11. Under interrogation after 9/11, al-Qaeda leader Khallad bin Attash will claim he met some of the 9/11 hijackers at Kandahar airport in Afghanistan in the summer of 2000. Although he will not be able to recall all of them, he will say the group includes Satam Al Suqami, Waleed and Wail Alshehri, Abdulaziz Alomari, Hamza Alghamdi, Salem Alhazmi, and Majed Moqed. He will say he was closest to Saeed Alghamdi, whom he convinced to become a martyr and whom he asked to recruit a friend, Ahmed Alghamdi, to the same cause. However, doubts will later be expressed about the reliability of such statements from prisoners like bin Attash, due to the methods used to obtain them (see June 16, 2004) [9/11 Commission, 7/24/2004, pp. 233-4] Al-Qaeda’s division of passports and host country issues is based at the airport and it alters passports, visas and identification cards. Some people involved in the plot will later be reported to have altered travel documents (see July 23, 2001). [9/11 Commission, 8/21/2004, pp. 56 ] 9/11 hijacker Ahmed Alnami and would-be hijacker Mushabib al-Hamlan are also said to be at the same Kandahar camp, Al Farooq, and are assigned to guard the airport. [9/11 Commission, 7/24/2004, pp. 526] By the late 1990s, the Kandahar airport will become the main logistics lifeline for al-Qaeda and the Taliban to the outside world. One Ariana pilot will later recall, “I would see Arabs with [satellite] phones walking around the terminal, in touch with the Taliban at the highest levels.” On one occasion, he sees Taliban ruler Mullah Omar meeting in the middle of the airport with a rebel leader from Tajikistan, surrounded by aides. “There they were, cross-legged on their mats, chattering into cell phones.” [Farah and Braun, 2007, pp. 140] At this time, the Kandahar airport is being mainly used by Ariana Airlines, which has been completely co-opted by al-Qaeda and the Taliban, and aircraft companies controlled by international arms dealer Victor Bout (see 1998). Salem Alhazmi. [Source: US District Court for the Eastern District of Virginia, Alexandria Division]9/11 hijacker Salem Alhazmi flies from Saudi Arabia to Beirut. Tracked by Saudis - According to the 9/11 Commission, Alhazmi’s passport has an indicator of Islamic extremism (see April 4, 1999). Such indicators are used by the Saudi authorities to track some of the hijackers before 9/11 (see November 2, 2007), so the Saudi authorities presumably register his departure. Returns, Leaves Again - Alhazmi leaves Saudi Arabia again on January 1, 2001, traveling to Yemen. [Federal Bureau of Investigation, 10/2001, pp. 116 ] He is presumably tracked by Saudi authorities as he enters Saudi Arabia after returning from Beirut and also as he leaves Saudi Arabia for Yemen. Contradicted by Families' Claims - However, two to three years before the 9/11 Commission publishes these claims, the families of both Ahmed Alnami and the Alshehri brothers will deny they travel anywhere at this time, and say they leave home in December, not the middle of November. After 9/11, Alnami’s father will initially say Alnami has been missing since December 2000 and will later repeat that he left home in December 2000 in an interview with the Daily Telegraph. [Washington Post, 9/25/2001; Daily Telegraph, 9/15/2002] The Alshehri brothers’ family will also claim they do not leave until after mid-November 2000. Initially, the father will say that they left “last Ramadan.” [Arab News, 9/17/2001] The month of Ramadan begins on November 27 in 2000. [Israeli Ministry of Foreign Affairs, 11/26/2000] Based on a 2002 interview with one of their brothers, the Boston Globe will also later say that they leave in December. [Boston Globe, 3/3/2002] If this is true, the story of their travel with a Hezbollah operative would probably be incorrect. Alnami Possibly Tracked by Saudi Intelligence - According to the 9/11 Commission, Alnami may have had a passport with an indicator of Islamic extremism (see November 6, 1999). Such indicators were used by the Saudi authorities to track some of the hijackers before 9/11 (see November 2, 2007). According to the 9/11 Commission, Khalid Almihdhar may take a flight from Syria to Iran and continue from there to a point near the Afghan border. The 9/11 Commission will mention this flight in a section dealing with possible co-operation between Iran, Hezbollah, and al-Qaeda on travel issues—Iran was allegedly allowing al-Qaeda operatives to pass through it on their way to and from Afghanistan without stamping their passports (see October 8-13, 2000, After October 12, 2000, and Mid-November, 2000)—but there are no direct links between this flight and Iranian operatives. The 9/11 Commission’s statement that Almihdhar entered Iran at this time will be based on intelligence reports from the NSA, mostly drafted shortly after 9/11. The NSA has been intercepting Almihdhar’s calls for some time, so it may have obtained this information from these intercepts (see and Late August 1998 and Early 2000-Summer 2001). [9/11 Commission, 7/24/2004, pp. 241, 529; Shenon, 2008, pp. 370-3] Almihdhar was at the Yemen hub earlier in February, which is closely monitored by US intelligence at the time, so the NSA would have had a good opportunity to track his movements from there (see February 2001). Luai Sakra. [Source: Associated Press]In his 2007 book At the Center of the Storm, former CIA Director George Tenet will write that on September 10, 2001, “a source we were jointly running with a Middle Eastern country went to see his foreign handler and basically told him that something big was about to go down. The handler dismissed him.” Tenet claims the warning was “frightening but without specificity.” [Tenet, 2007, pp. 160] While Tenet will not mention the name of the source, his description perfectly matches a Syrian-born militant named Luai Sakra. 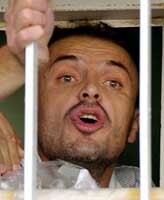 Sakra will be arrested in Turkey in 2005 (see July 30, 2005) and reportedly will tell interrogators after his arrest, “I was one of the people who knew the 9/11 perpetrators, and I knew the plans and times beforehand.” He claims to have provided the pilots with passports and money (see September 2000-July 24, 2001). Der Spiegel will report, “Western investigators accept Sakra’s claims, by and large, since they coincide with known facts. On September 10, 2001, he tipped off the Syrian secret service… that terrorist attacks were about to occur in the United States. The evidently well-informed al-Qaeda insider even named buildings as targets, and airplanes as weapons. The Syrians passed on this information to the CIA—but only after the attacks.” [Der Spiegel (Hamburg), 8/24/2005] In 2007, Sakra will also claim to have trained some of the 9/11 hijackers in Turkey starting in late 1999 (see Late 1999-2000). If Tenet is referring to Sakra, then it appears Sakra did develop a relationship with the CIA that continued at least through 9/11 (see 2000). Der Spiegel reports, “Western investigators accept Sakra’s claims, by and large, since they coincide with known facts.” After talking to Sakra, Turkish officials suggest he may be one of the top five most important members of al-Qaeda. One security official says, “He had an intellect of a genius.” However, he also was found with medicine to treat manic-depression and exhibits manic-depressive behavior. [Zaman, 8/14/2005; Der Spiegel (Hamburg), 8/24/2005] Sakra will later be sentenced to life in prison (see March 21, 2006-February 16, 2007) for his self-confessed role in the 2003 Istanbul bombings (see November 15-20, 2003). Saudi Arabia’s national security adviser Prince Bandar bin Sultan says that before 9/11 the Saudi government was “actively following” most of the 19 hijackers “with precision.” Prince Bandar, formerly Saudi ambassador to the US, also says that the information Saudi Arabia had may have been sufficient to prevent 9/11: “If US security authorities had engaged their Saudi counterparts in a serious and credible manner, in my opinion, we would have avoided what happened.” A US official says that the statement made by Prince Bandar should be taken with a grain of salt. [CNN, 11/2/2007] Saudi officials had previously said that they watchlisted two of the Saudi hijackers, Nawaf Alhazmi and Khalid Almihdhar, in the late 1990s (see 1997 and Late 1999) and their interest in Nawaf Alhazmi may have led them to his brother, Salem. All three of these hijackers were also tracked by the US before 9/11 (see Early 1999, January 5-8, 2000, Early 2000-Summer 2001 and 9:53 p.m. September 11, 2001). 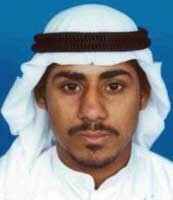 Nawaf Alhazmi, who obtained a passport containing an indicator in the spring of 1999 (see March 21, 1999), and then left Saudi Arabia (see After Early April 1999). Khalid Almihdhar, who obtained passports containing an indicator in the spring of 1999 and June 2001 (see April 6, 1999 and June 1, 2001), and then repeatedly entered and left Saudi Arabia (see After Early April 1999, Late 2000-February 2001, May 26, 2001, and July 4, 2001). Salem Alhazmi, who obtained passports containing an indicator in the spring of 1999 and June 2001 (see April 4, 1999 and June 16, 2001), and then repeatedly entered and left Saudi Arabia (see After Early April 1999, November 2000, June 13, 2001, and (Between June 20 and June 29, 2001)). Ahmed Alhaznawi, who obtained a passport possibly containing an indicator before mid-November 2000 (see Before November 12, 2000) and then repeatedly entered and left Saudi Arabia (see After November 12, 2000, (Between May 7 and June 1, 2001), and June 1, 2001). Ahmed Alnami, who obtained passports possibly containing an indicator in late 2000 and spring 2001 (see November 6, 1999 and April 21, 2001) and then repeatedly entered and left Saudi Arabia (see Mid-November, 2000 and May 13, 2001). What the indicator actually looks like in the passports is not known.